There are literally hundreds of solder alloys available from very low melting points from 38°C to extremely high brazing melting points to over 1000°C. Yet, there is one alloy in particular that stands out and is most commonly used by the majority of users for die attach and lid seal applications. 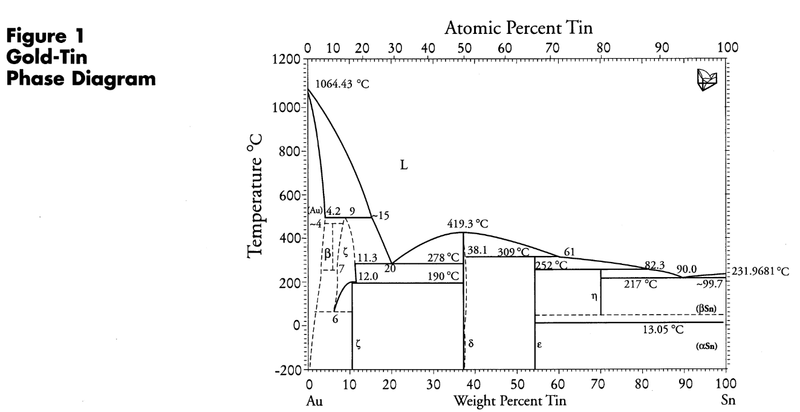 This alloy is gold-tin with an 80% gold (Au) and 20% tin (Sn) composition by mass which is a eutectic alloy, meaning the melting point is the same as the solid point (278°C). 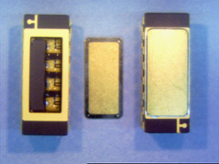 Gold-tin is the workhorse of the microelectronics industry for die attach and lid seal. Disadvantage: Cannot do subsequent reflow at 278°C must go higher in temperature. 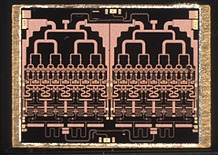 Advantage: Gold-tin can be used for die attach and then subsequent lid seal in the same package without secondary reflow of die attach solder joint.